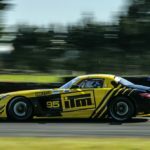 New Zealand-based Australian racer Alexandra Whitley is ready to do her best at the intensive W Series selection programme being run in Austria next week. 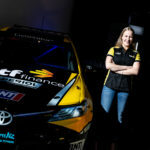 Whitley will be up against 59 other talented female racers vying for one of 18 places to compete in the brand-new W Series, a single-seater motor racing series for women drivers only. 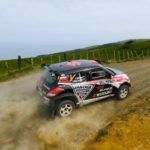 The six-race series,..
Emma Gilmour was left wondering what could have been at yesterday’s Hyundai NZ Raglan Rally of the Coast, after she had some fast stage times, interspersed with mechanical issues. 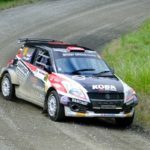 The final round of the Brian Green Property Group New Zealand Rally Championship (NZRC) started well for her and co-driver Anthony McLoughlin, as they powered the Vantage Windows and Doors Suzuki..
A third place on the season’s podium is within Emma Gilmour’s sights at this Saturday’s final round of the Brian Green Property Group New Zealand Rally Championship - the Hyundai NZ Raglan Rally of the Coast. 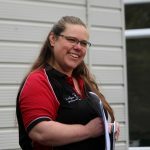 She and co-driver Anthony McLoughlin will be doing their best to maximise their points in the Vantage Windows and Doors Suzuki Swift AP4 over..
Masterton’s Tracey Stringer has been selected as the New Zealand participant in a trans-Tasman exchange for female motorsport officials. 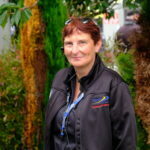 Now in its third year, the exchange is organised by the Women in Motorsport advisory commission (WIMNZ) of MotorSport New Zealand with their Australian counterparts, the Women of Australian Motor Sport (WAMS) to assist female motorsport officials expand their knowledge of..